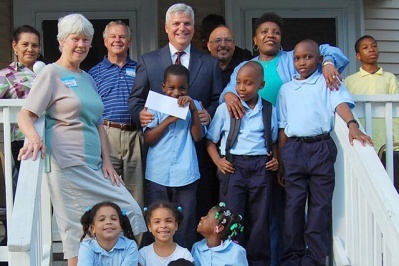 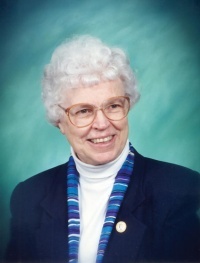 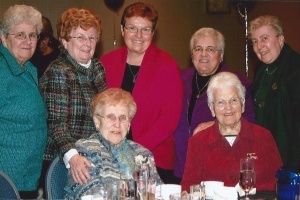 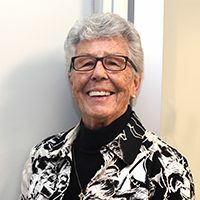 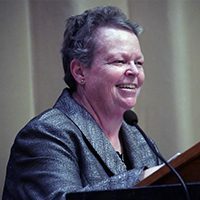 Sister Mary Black, CSJ, a woman whose aim, through her entire life, has been to serve underprivileged people, was recognized by all present at our 2019 Living the Dream Dinner. 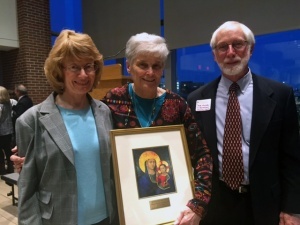 Sister Judith Costello receives special recognition from the Regis College Alumni Chorus. 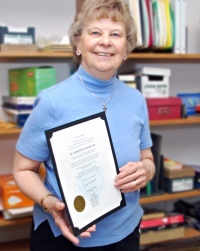 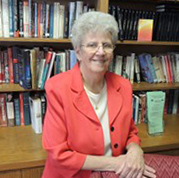 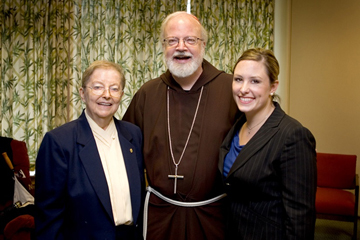 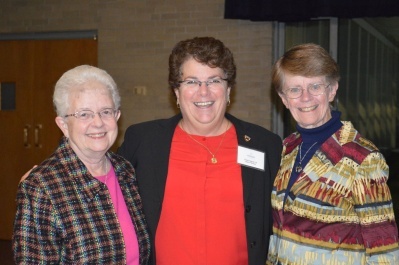 Barbara McHugh, CSJ was inducted into the Quarter Century Society at Arlington Catholic High School. 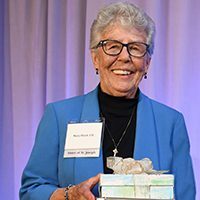 A special recognition for “Support & Advocacy for Latinas” was extended to Sister Carlotta Gilarde at the Latina Center’s Inspirational Woman Ceremony. 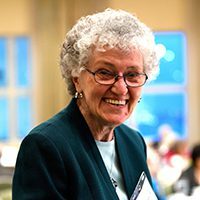 Charlene Favreau, CSJ was one of ten educators to receive the 2017 – 2018 Archdiocese of Boston Excellence in Education Award. 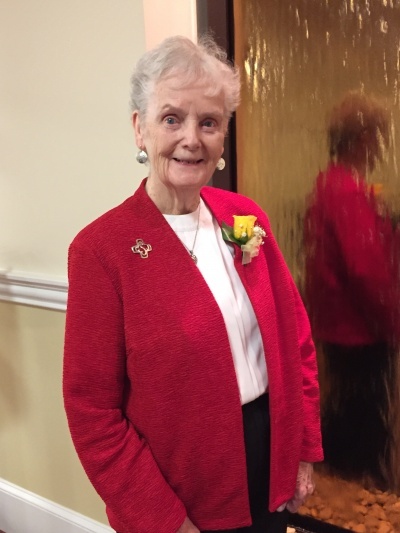 On October 26, 2017, Mary Black, CSJ, was recognized for her ongoing contributions to Cathedral High School’s Adopt-A-Student Foundation (AASF) at the annual AASF Dinner. 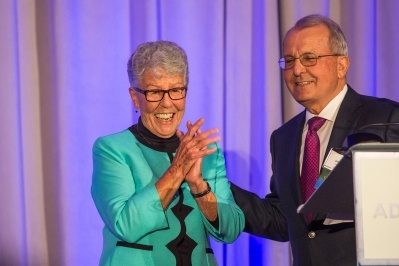 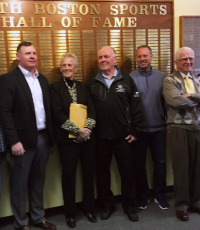 Celebrating Commuity, Commitment & Legacy – On Thursday, April 27th, the Pope John XXIII High School community came together for the 10th annual Pinnacle Awards Gala at Spinelli’s on Route One in Lynnfield. 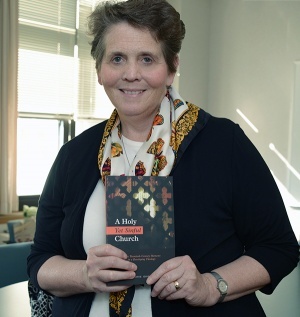 Barbara McHugh, CSJ, a theology teacher at Arlington Catholic High School, was one of two honored by the graduating class of 2016 with the dedication of their yearbook. 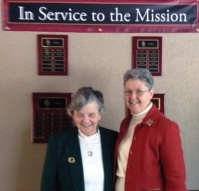 Betty Cawley, CSJ (left) with Marianne McLaughlin, Chair of BHD Board. 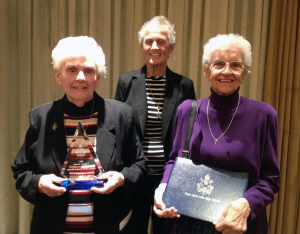 On April 28, 2016 the Bethany Hill Place [BHP] Spring Gala, Betty Cawley, CSJ, was honored with the Bethany Hill Place Tree of Live Medallion. 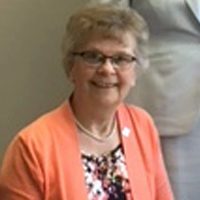 On November 9, 2015, Anne Marie Garrity, CSJ, was recognized for her excellent job performance and years of service at Bethany Health Care Center. 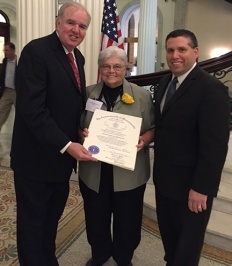 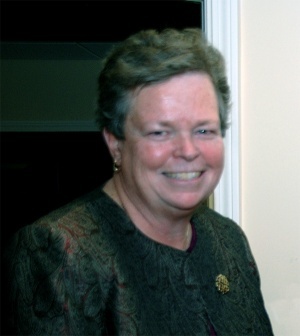 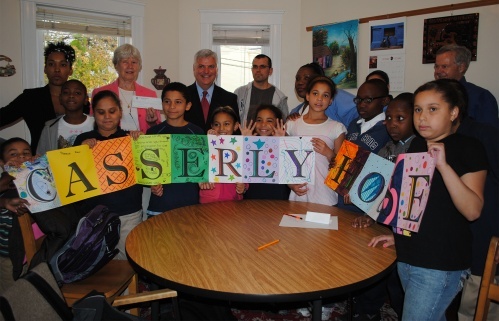 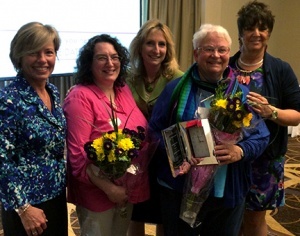 Charlene Favreau, CSJ, voted Teacher of the Year 2014 at Immaculate Conception School, Lowell. 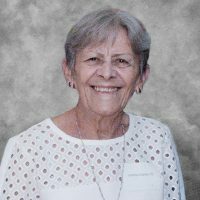 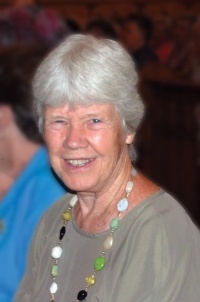 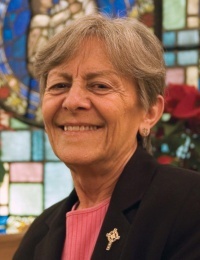 Carlotta Gilarde, CSJ was honored by the St. James Society, established by Ricard Cardinal Cushing, for her ministry in the San Ricardo Parish in Peru for 27 years. 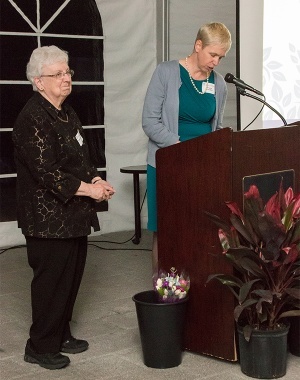 The 2012 Allston & Brighton Boards of Trade Annual Dinner was held at WGBH in Brighton recently. 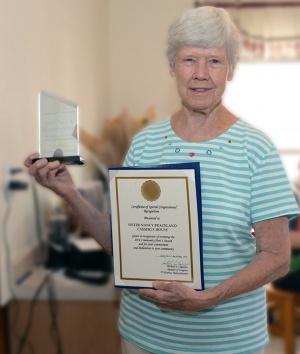 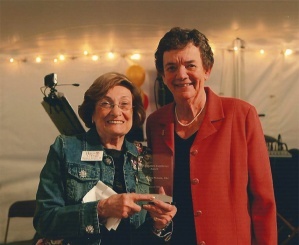 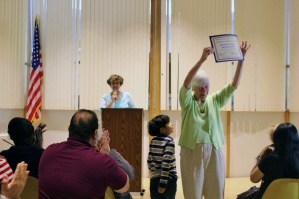 The President’s Award was given in memory of Sister Ann Moynihan.